Hand luggage cheats: your maverick days of sneaking onto flights with overweight carry-on bags are numbered. The end is nigh for your wily trickery, your games of hide-and-seek with airline staff as you hope they don't notice your duffel bag so heavy, your straining arms can barely lift it. 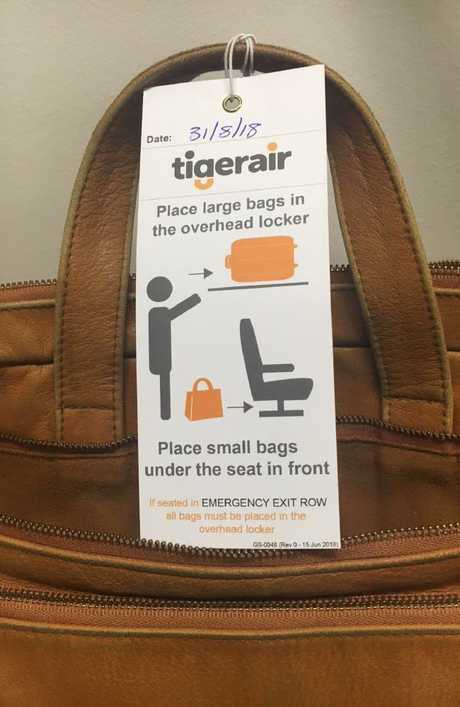 Passengers notoriously flaunt weight limits on cabin luggage but airlines are giving us fewer opportunities to get away with it - and the latest crackdown is by Tigerair Australia. The airline is trialling a new check-in process that uses a tag system to ensure all passengers' cabin bags have been checked and given the green light for boarding. Under the system, carry-on bags that have been weighed and checked for size will be tagged. A bag with no tag means it has not yet been checked. And before you start scheming again - the tags will be stamped with the date so they can't be re-used. The trial has been rolled out over the past month at airports in Sydney, Brisbane and the Gold Coast. News.com.au understands the tag system will be in place for all Tigerair flights by the end of the year. In a statement to news.com.au, a Tigerair spokesperson said this was a "new and innovative process" that had dual benefits. "(It) not only highlights to our crew that luggage has been checked before boarding, but helps to educate our customers on where to stow their bags when they board their flight," the spokesperson said. "The process being trialled will also make check-in and boarding more convenient, eliminating the need for ground staff to check baggage weight and size twice, which is more convenient for our customers and allows Tigerair to continue to provide a great value, low-cost service." 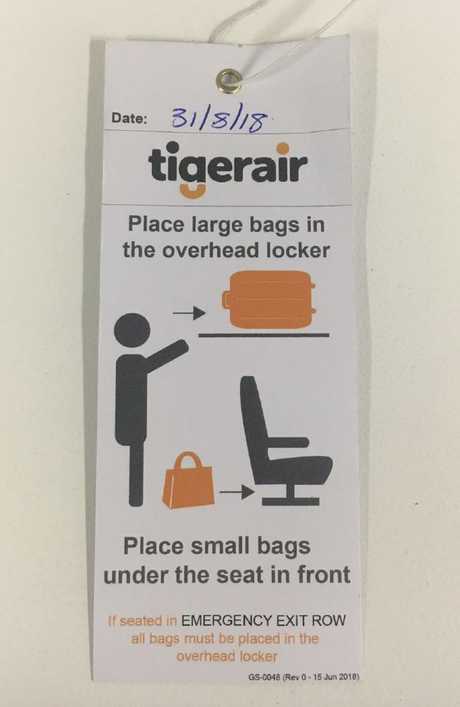 The current cabin baggage limit for Tigerair is 7kg per customer, and there is the option of upgrading to cabin+, which allows up to 12kg of cabin baggage that can either be pre-purchased or purchased at airport check-in. 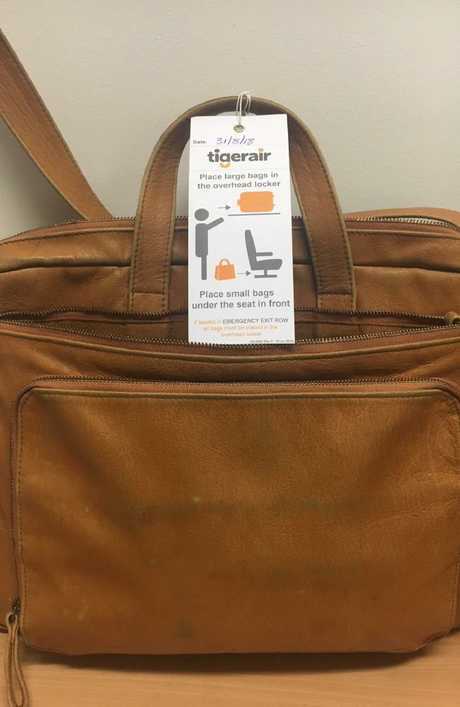 Tigerair's ground services team will continue checking the weight and size of carry-on bags either at check-in or at the gate, but passengers in the trial will get the bag tag. Similar systems are used by low-cost airlines around the world. Charging passengers for add-ons like hand luggage is a large part of how low-cost carriers are able to keep the price of seats so low. And while airlines have always been strict about the weight of the suitcases we check in, more attention is now being paid to bags in the cabin. 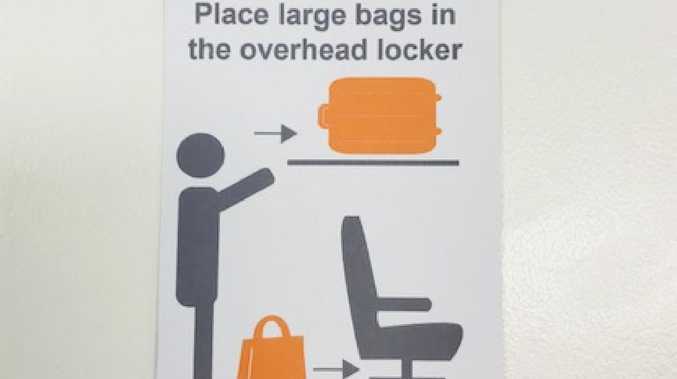 Yesterday, Jetstar announced passengers could increase the carry-on bag limit from 7kg to 10kg, at a price. Flyers can now buy an extra 3kg of carry-on from $13 on Starter Fares, in an initiative Jetstar said gave passengers more choice. 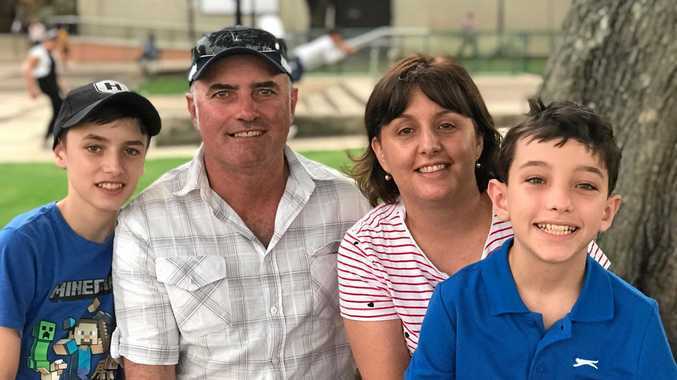 "Customers told us that they would like the option to carry more on board and so we are pleased to be able to offer them the option to purchase an extra three kilos," Jetstar Group chief customer officer Catriona Larritt said. "The extra carry-on allowance is particularly useful for those travelling with a laptop or camera bag or those travelling on short trips with an overnight bag who are after a quick departure from the airport without a wait at the baggage carousel." Jetstar customers currently get 7kg of combined carry-on weight between two items. Passengers who buy a FlexiBiz fare can already take 10kg on-board with them as part of the bundle's benefits. But things could be a lot worse. Irish budget airline Ryanair recently created a stir by changing its carry-on rules, which now allow no free hand luggage in the cabin. Passengers who want to take a bag on board now have to pay $14.30 for a bag or $10.70 for priority boarding.